The product was very good. I am satisfied that I can buy cheaply. This review is about item#5828207. We use at work, but are sticky and are easy to use well. As price is cheap, we repeat from now on. This review is about item#6588547. I often work with paper, but it is a great deal of value because it is much longer than stationery-based double-sided tapes. The quality is very good. There are also various widths. This review is about item#5828146. I paint the gun plastic completely with an airbrush, but put double-sided tape on the used disposable chopsticks and fix the parts with adhesive power, it is very easy, double-sided tape of 100 average is too wide and wasteful, so this width is just right Is good. This review is about item#06588547. It may be surprising, but it is used to fix the urine leakage prevention pad. Since it will be disposable at hospitals, it should be strong, but moderate adhesion is required to reuse the outside. This product is experienced as dozens of stew and boiled it is reached. It is not a general comment, but I think that it is important information for those who need it. Please try. This review is about item#5828191. Double sided tape has been using this all the time. It can be easily cut by hand, yet it has adhesive strength, so we use various width tape according to the application. This review is about item#5828155. In our work, this product has no problem with adhesive strength. Peeling off even when peeled off a great deal of help. This review is about item#9213005. Office work, when assembling product samples, etc. I bought it because it is cheap. Although it is hard to cut by hand, it was robust and firmly stopped, so I wanted to buy it again. This review is about item#05828155. Compared to both sides of the monotaro brand, it is preeminent in workability without bending at all. It is also safe to have stock all the time. We will continue to order. It seems that compatibility with cotton fabric is not so good. Vinyl type things enough There is adhesion. I think that it is a very good product to Cospa. I think that should be kept at home so that it can be used anytime. This review is about item#05828146. Nitto Denko It was not a problem with the same standard product, but when I installed the same thing with this item, it got peeled off. Are manufacturing plants different? I bought it back to the Nitto Denko brand for the time being. This review is about item#5828164. I am using this manufacturer because it can be used cheaply and long. Both price and quantity are satisfied. It is useful for temporary attachment of glue sticking. It was nice to have a width of 10 cm. It is used for pasting of packing in a handmade bag. 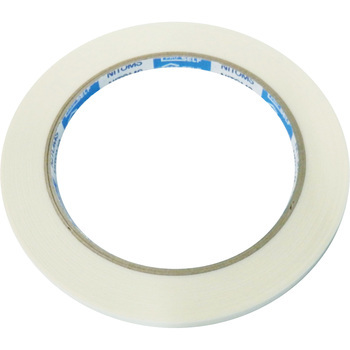 I was looking for various double-sided tapes, but I found out the perfect product for our work and it is saved very much though it is the second purchase. I want to continue purchasing. I bought it for mono creation using paper for elementary school students. It was almost as expected. Adhesion is stronger than no brand. I will also use it.